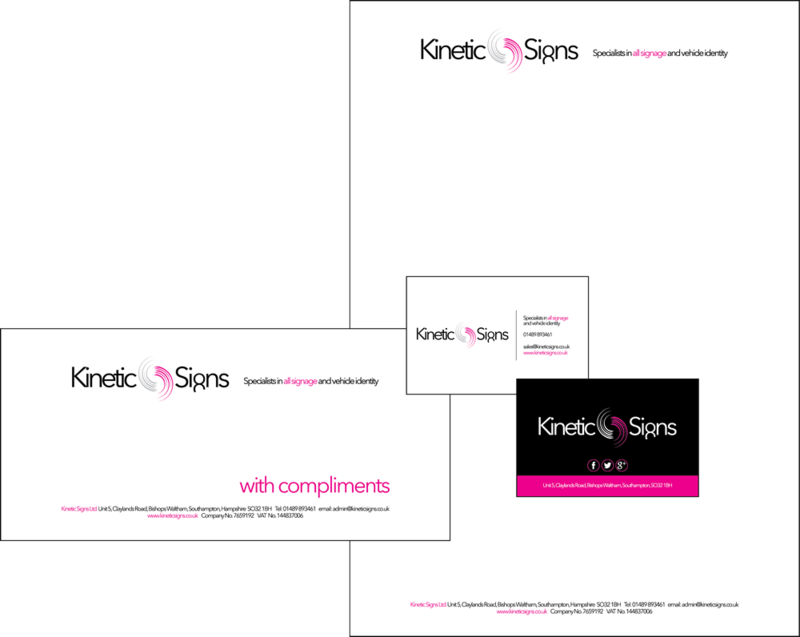 Here at Kinetic Signs, we also offer a design and printing service for all your stationery needs. If it’s a complete service you require, including logo design, our in-house graphic designers can help you through the process to create your perfect corporate identity. stationery, clothing and a signwritten vehicle.